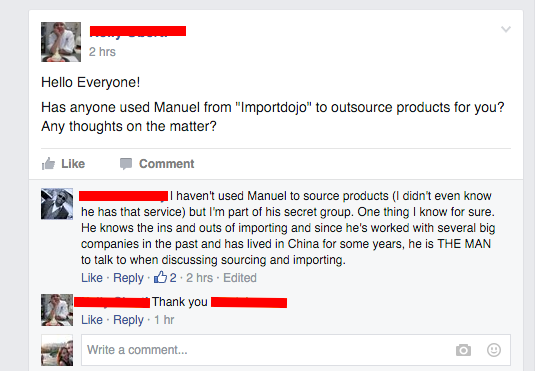 The ImportDojo Masterclass - The only course on the internet from an actual expert living and working in China. 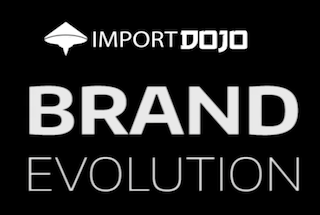 The ImportDojo Masterclass consists of three courses (Case Study, Brand Evolution & Certifications) with over 30 hours of video material. 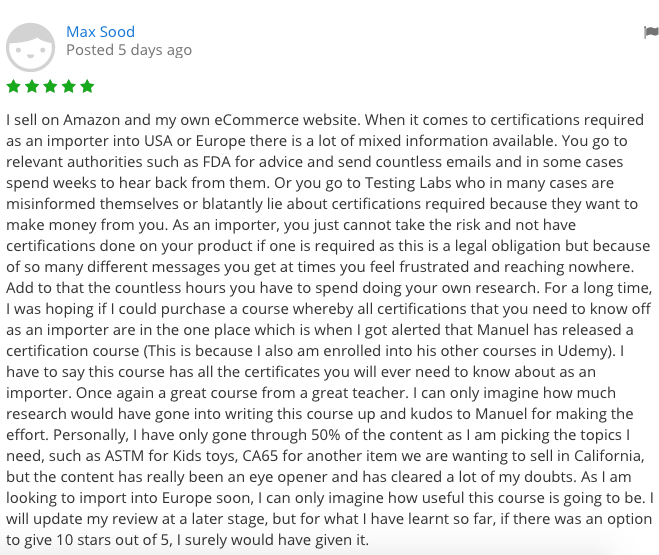 It is the most complete course on the internet to learn about importing from China, sell on eCommerce sites (such as Amazon or your own site) and the only course that teaches you certifications and regulations when importing from China. Start building your own eCommerce business from the comfort of your home, while travelling or as a side project. You can start selling on Amazon with any budget and I will guide you along the way step by step. When I built this course I set out to help people who want to build their own online business, escape the hamster wheel and live a location-independent lifestyle. Whether you want to build up for retirement, live in an exotic location, buy a new gadget or pay your kids tuition – this is for everyone! In the last 5 years I have helped thousands of beginners, advanced or new entrepreneurs to build their dream. But that’s not all, I have also added 3 videos on how I launch my products in 2019 and beyond. Those are some strategies that I have never shared before. Rightfully so, because I reveal how I have stopped using Amazon PPC and only rely on external traffic that I build. Join today and build yours!! Learn how to source from China & sell on Amazon like a pro! Follow the only live case study on the internet. Learn how to build a brand from scratch. Build your eCommerce empire. Learn everything about compliance and certification when importing from China. 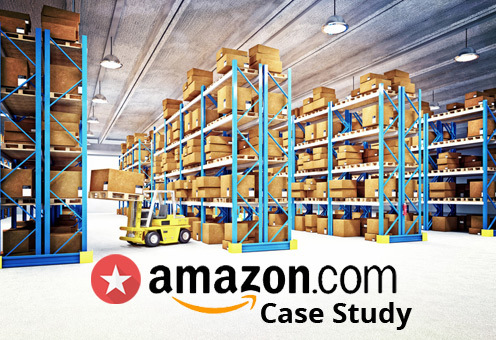 In this LIVE Case Study I’ll walk you trough a complete product launch that starts from finding the right product, the right supplier and shipping it to Amazon, promoting and selling it. Every little step is documented with over 50 video tutorials that shows my screen and you can even listen to me talking to suppliers. Best thing about this, I’ve used my own money and tried a lot of different things so you can see what works and what doesn’t and learn all this without running your own trial and error experiments. Follow along as I sell out after 7 weeks and make over 10,000$ profit in the process. See how I ended up as No.1 Bestseller in this super competitive category on Amazon after 6 months. After completing this course you’ll be able to find suppliers, negotiate with them, place orders, arrange inspections and ship your product directly to Amazon’s warehouse. 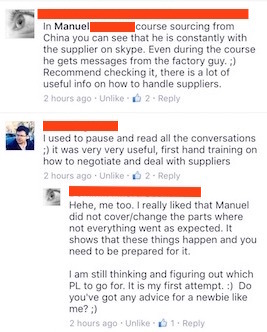 20 years of experience working with factories in China went into this course. You’ll be confident dealing with Chinese suppliers from hereon out while launching your Amazon business. My ultimate goal with this course to is help you build a business that is stronger, profitable and more successful than your competitors. Competition has increased a lot and now only the fittest will survive. We looked at all parts of building an online business and a brand and not just focus on Amazon but many other sales channels. You need to look at long term strategies and you’ll want several income streams and have ultimate control in every part of your business. This course will help you to navigate the jungle of rules and regulations, give you actionable advice what you need and show you how to use certificates to get a clear competitive edge in todays overcrowded markets. I also give you examples where you don’t need to test, how you can save money and when to walk away from a certain product or supplier. 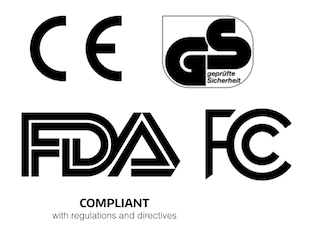 This alone will help you to save thousands of dollars and by getting the right certifications and tests you can ensure compliance with all mandatory safety standards & labelling requirements for Europe and North America. I provide you with actionable PDF’s for 27 product categories that give you a clear picture of all the regulations that a certain product falls into. Be it electronics, kitchen, garden, toys or furniture’s. Sign up now and join thousands of other eCommerce sellers! Join a private Facebook group with like-minded entrepreneurs. Ask questions, share your experience or connect with me directly. Access only for paying members. Get countless templates that you'll need for your eCommerce business. Including but not limited to test plans for 29 product categories, purchase contracts, NDA's and much more. Connect with me via Skype or Facebook and have your most pressing questions answered from me directly. Chapter 2: How Did I Find This Product? Chapter 3: What Are The First Steps? Chapter 2: Where To Find Great Products For Your Brand? Chapter 1: How I Made 50,000$ Profit With 1 Order In Retail! Chapter 1: Introduction, About Me & What’s This Course All About? Chapter 9: Who Pays The Certificate’s Costs? Module 8: Conclusion & Disclaimer – Important! Chapter 1: Conclusion & Disclaimer – Important! Watch the video below to see whats inside the members area! 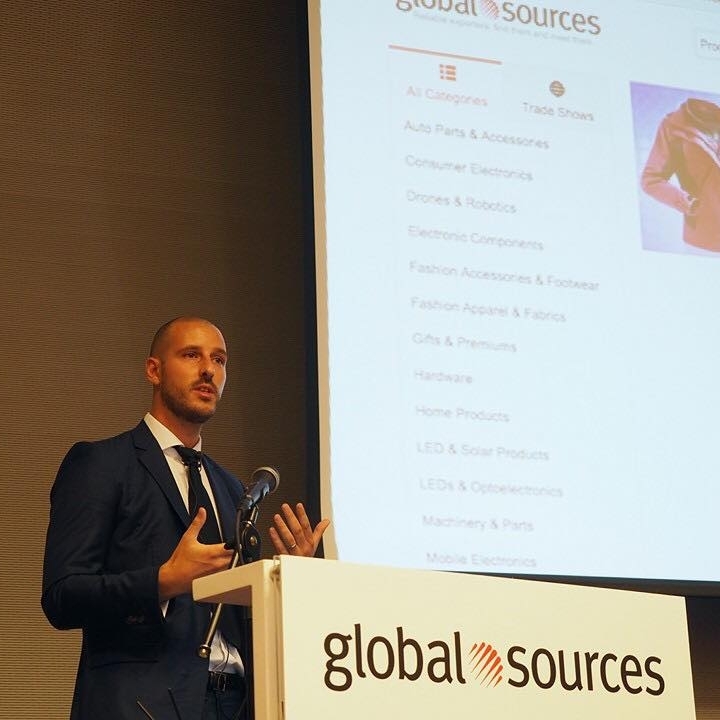 He also created several online courses on discussing import from China, selling on Amazon and other eCommerce channels as well as certification and compliance to national standards and laws. Is the content not for you? No worries, just send an email to mail@importdojo.com and you'll get a full refund, no questions asked. I am fully convinced of my content. However I do understand that it might not be for everyone in which case you can message me and request a refund within 14 days. No questions asked. I pride myself with providing value over everything. But don't take it from me. 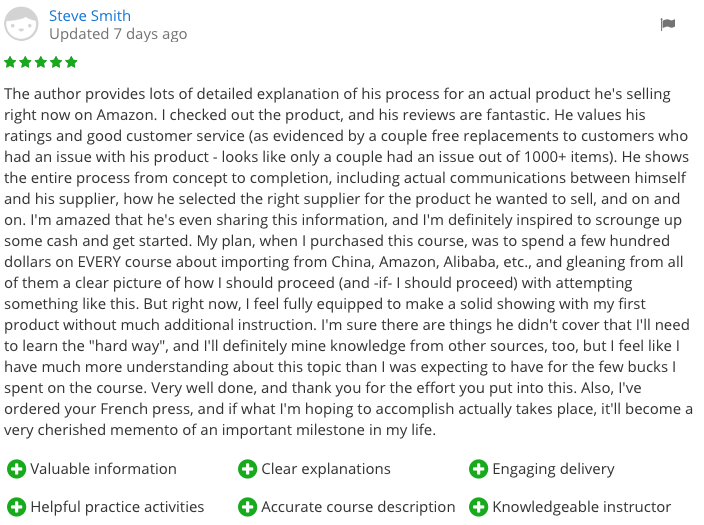 Here's what my students have to say about my content and courses. Over 30 hours of video content that teach the in's and out's of an eCommerce business. Learn everything there is to know about building an online business, sell on Amazon and establish a brand. I have also added 3 videos on how I launch my products in 2019 and beyond. Those are some strategies that I have never shared before. Rightfully so, because I reveal how I have stopped using Amazon PPC and only rely on external traffic that I build. 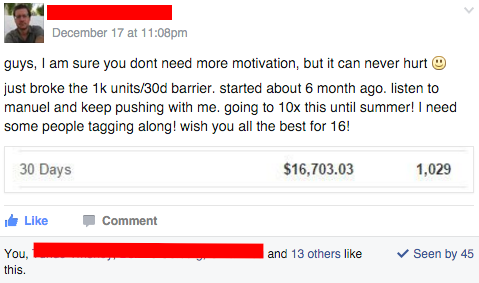 Exchange ideas, ask questions and get motivated by other people in this private Facebook group. Ask me anything both in the Facebook group as well as privately trough my Skype. I'll hold your hands along the way. Not for you? No worries, I offer a 14 days, no questions asked money back guarantee. If you want to build your own business and work online this course is for you. This course is for both beginners, advanced and professional eCommerce sellers. Whether you are just starting out or need help already selling on Amazon or other eCommerce channels this course is the ideal step by step blueprint to run a successful eCommerce business. Do i get your help while learning? Yes, absolutely. I’ll be available for your questions within the Facebook group as well as private chat on Skype. Technically yes, but you need the mindset to succeed and you need to put in the work. This is not a get-rich-quick scheme where you can make thousands of $ over night like many “gurus” advertise. However I will do my best to help you succeed. Yes, this is a one time payment with access for lifetime. No further or hidden costs added. You get full access to all content (and me) right after purchase. This heavily depends on the product you choose and the amount of units that you order from a supplier. However I have come to the conclusion that 5,000US$ is the minimum budget. This is calculated from a minimum order of 500 units from a supplier, marketing budget, shipping and other costs. How will I access the videos after purchase? You’ll be re-directed to the members area where you can watch videos at your own pace. You’ll also get a username and password that allows you to login to the members area at any time. Many people like to educate themselves first and start slowly. Which is absolutely fine! You can learn at your pace and take it step by step. This is for everyone of any age group. I have content that is perfect for beginners but I also have content where advanced people already told me they learned so much from it. Does this course work for the EU also? YES, absolutely! While the case study does focus on the US market the same process applies to the EU. Moreover the Brand Building courses focuses on an international business. So no matter where you are located this works. The certification course also covers both the US & EU. Yes! While some material is 2 years old with essential content that is timeless I have also added new material in 2019 to reflect the changes in the industry. 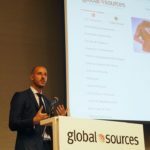 Some of the material (importing from China) has evergreen content that will never change as it teaches basic knowledge dealing with suppliers in China. I already work full time. Can I do this on the side? Yes, absolutely. Matter of fact most people start doing eCommerce besides their main job. You can learn and apply at your own pace. Whether you want this to replace your main income is entirely up to you and certainly possible. I have many students who enjoy their main job very much but have been selling on Amazon for years now to simply increase their savings. While I am convinced of my content I do understand that it might not be for everyone. 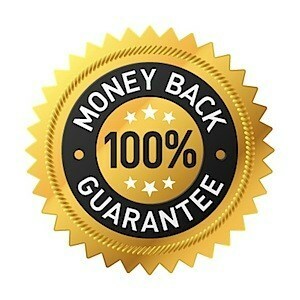 There is a 14 days, no question asked money back guarantee. 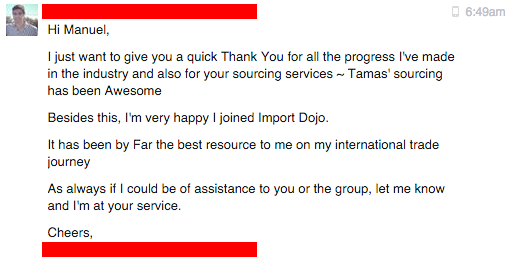 So if you do not find value in the content simply email me at mail@importdojo.com and you’ll receive a full refund. Wait! If you buy now you’ll receive 20% OFF. Apply coupon code TWENTY at the checkout.